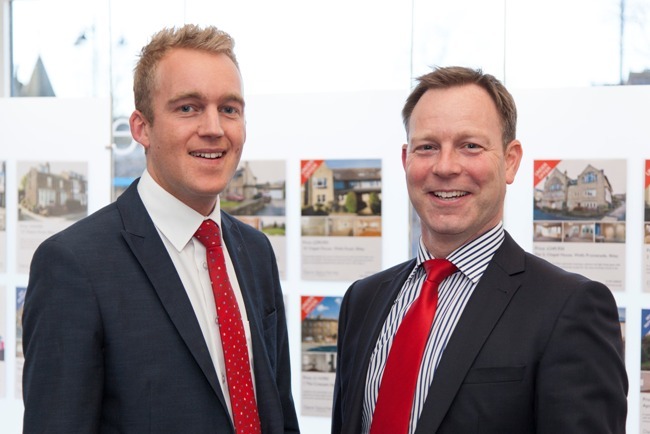 Two property professionals who work for estate agency firm Dacre Son & Hartley, have been promoted. Chris O’Mahony, who heads up the firm’s Pateley Bridge and Ripon offices joined the firm nine years ago. He has been promoted to Senior Associate. Mark Kane who joined Dacres three years ago to manage the Baildon office, has been promoted to an Associate. Patrick McCutcheon, head of Residential Sales at Dacre, Son & Hartley said: “Both Chris and Mark are extremely knowledgeable and professional and have a strong track-record for delivering excellent customer service as well as managing teams really effectively. Chris said: “Having managed a large geographical area that covers the outlying and surrounding villages around Harrogate, Ripon and Nidderdale for almost ten years, I have gained an invaluable understanding of the marketplace and a great sense of what buyers are looking for. One of the best parts of my job is managing a team of fourteen of the finest property professionals in Yorkshire. Mark said: “I started my career in property over ten years ago and moved across to Dacres to head up a thriving office in Baildon. Managing a team of seven who all work incredibly well together to deliver the very best levels of service to our clients, is incredibly rewarding. “Dacres is a great firm to work for, it recognises hard work and good performance which in turn ensures that the best people remain at the company delivering a consistent level of service that helps to keep the brand as strong as ever.